Yantai Wanhua Polyurethanes Ltd - ANCHUN INTERNATIONAL HOLDINGS LTD. Compared with conventional methanol reactor and CO shift reactor, Anchun’s isothermal reactor is easy to operate. Mild reaction condition solves the hot-spot temperature spikes often seen in conventional reactors. Catalyst lifetime doubles. 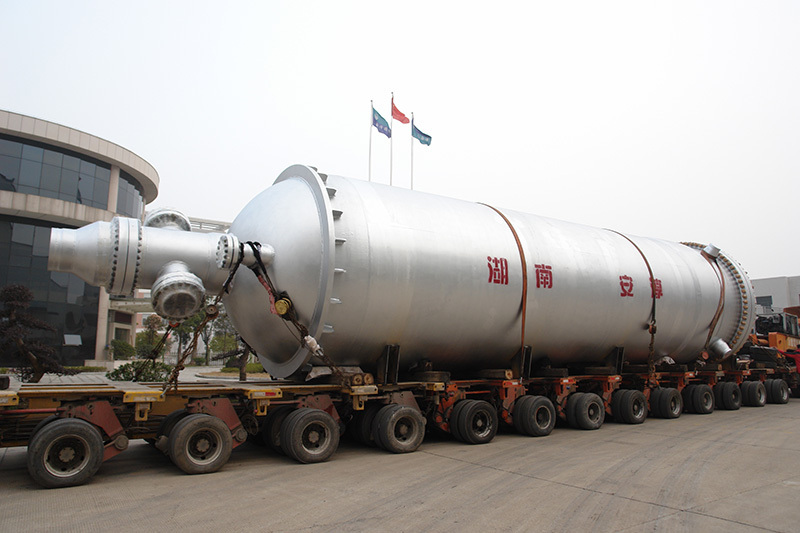 Expensive special purpose material is no longer needed for reactor construction because of the mild reaction condition. External boiler is no longer needed. Anchun’s isothermal reactor has a wide applicability for many medium and low-pressure gas-solid reactions, especially the methanation reaction in the coal-to-natural gas process. The conventional coal-to-natural gas process involves multiple reactors because of high evolved heat and concerns for temperature spikes and the need to re-cycle the reacted gas stream for better conversion. Using the isothermal reactor to replace conventional adiabatic reactor is a huge improvement—we can even say, a revolution, in chemical industry development. The economic and social benefits are immeasurable.